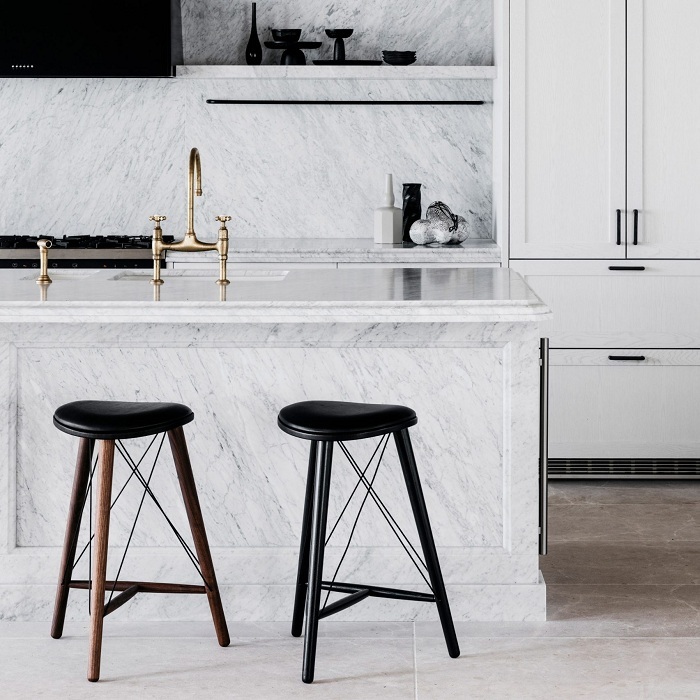 Marble is often used in the home for kitchen and bathroom surfaces, but there are also plenty of other ways it can be employed to add character to living spaces. Interiors reporter Natasha Levy picks out 10 examples. 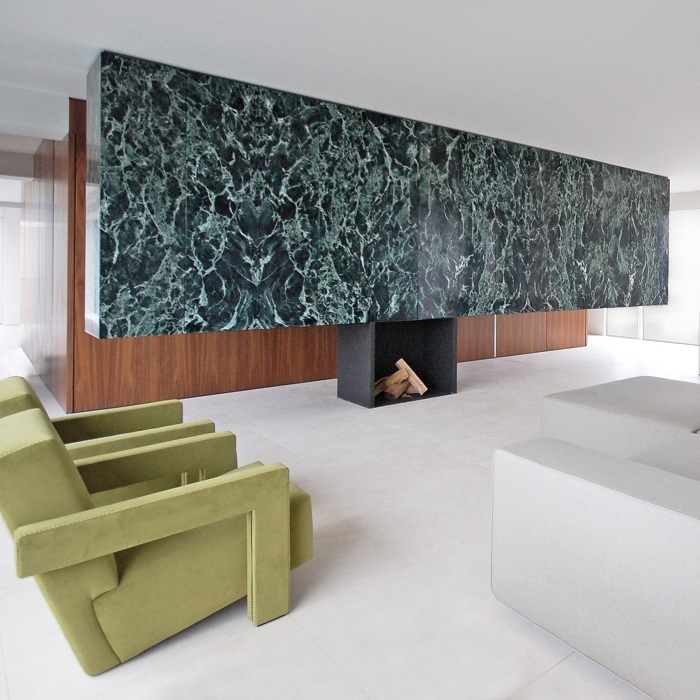 A two-tonne slab of veiny green marble is the focal point of this penthouse and private office in Antwerp. Measuring seven metres long, the monolithic block of stone separates the lounge area from a wooden kitchen block behind. 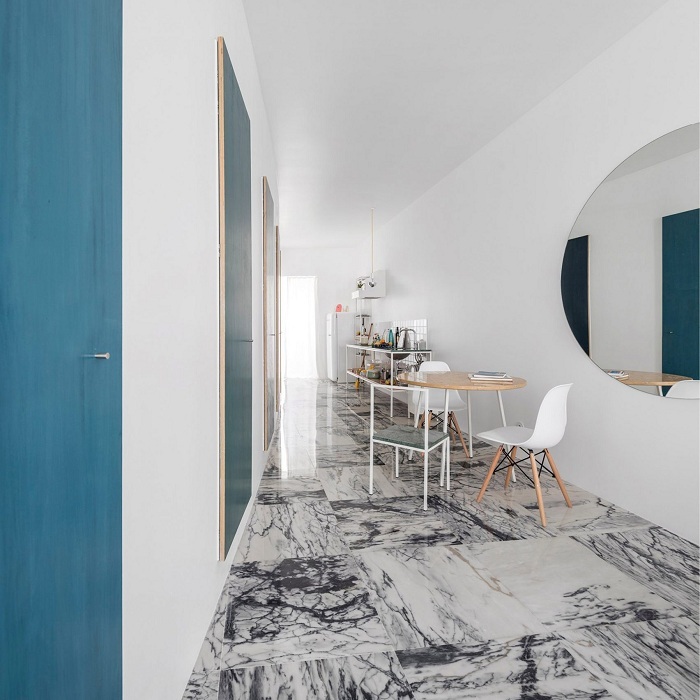 Tiles of veiny white marble cover the floor of this long and narrow living space, located inside a 19th-century Lisbon flat renovated by Fala Atelier. 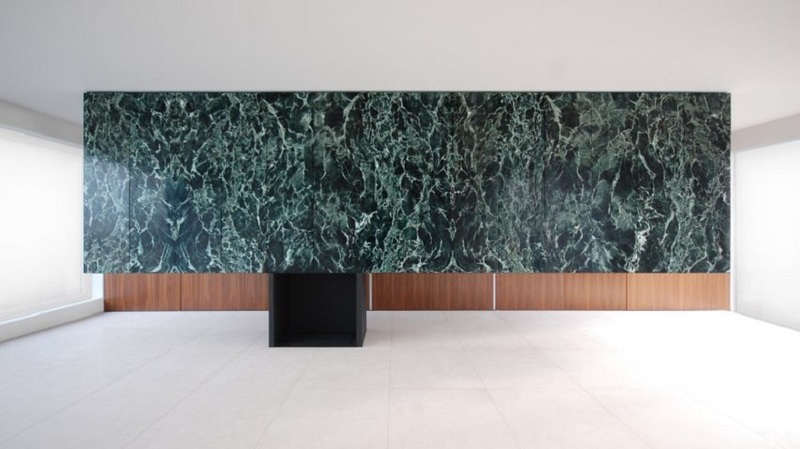 Meanwhile other varieties of marble provide the surfaces of tables, chairs and worktops. 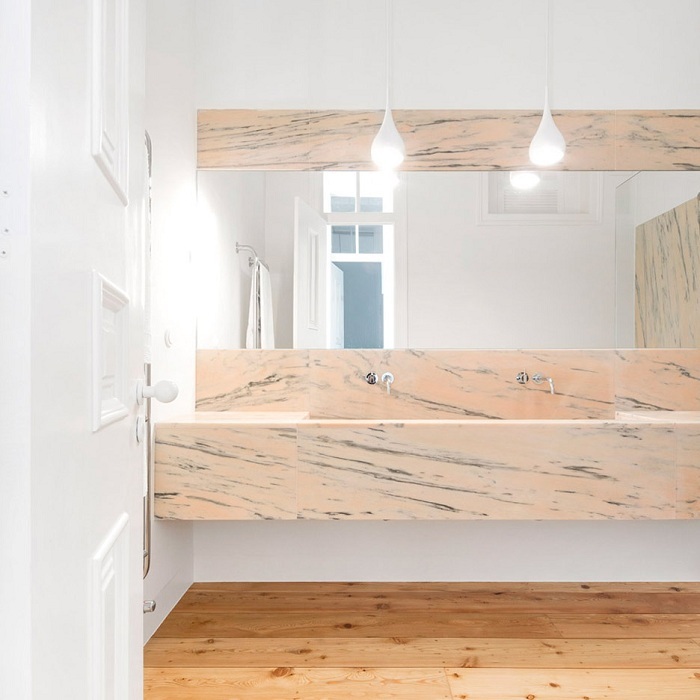 Rar Studio opted for peachy Portuguese marble to complete one bathroom in this renovated 19th-century flat in Lisbon. 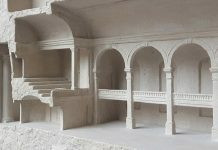 It offers a contemporary counterpoint to the historic details, which include ceiling mouldings and faded ceramic tiles. Camarim Arquitectos managed to slot a marble-lined steam room underneath the sloping roof of this Lisbon apartment. 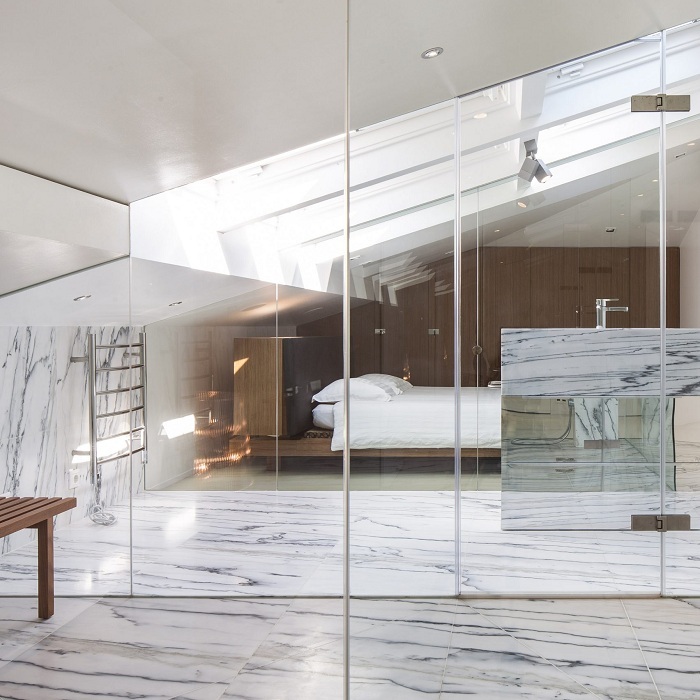 A glazed opening in the ceiling and large panels of glass help flood the space and an adjacent bedroom with natural light. 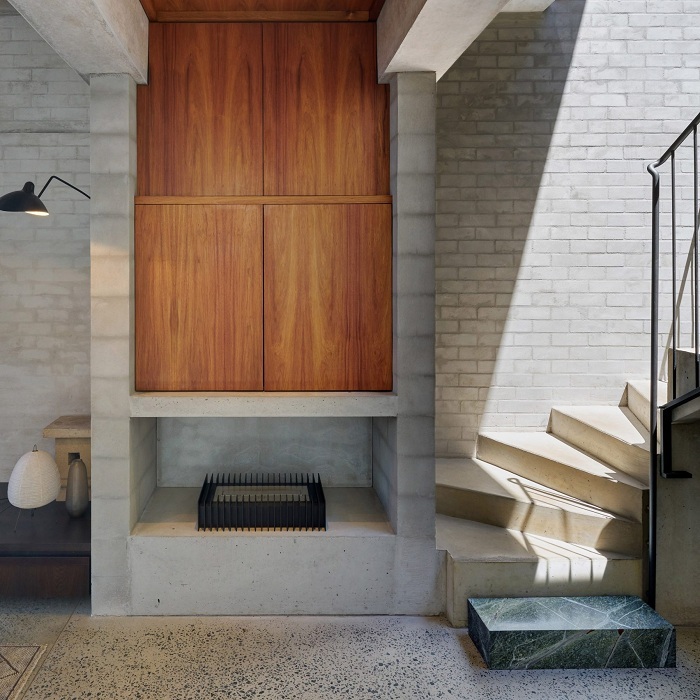 Architecture studio Welsh + Major subtly introduced marble to this Sydney home by using a block of it as the bottom step of the staircase. 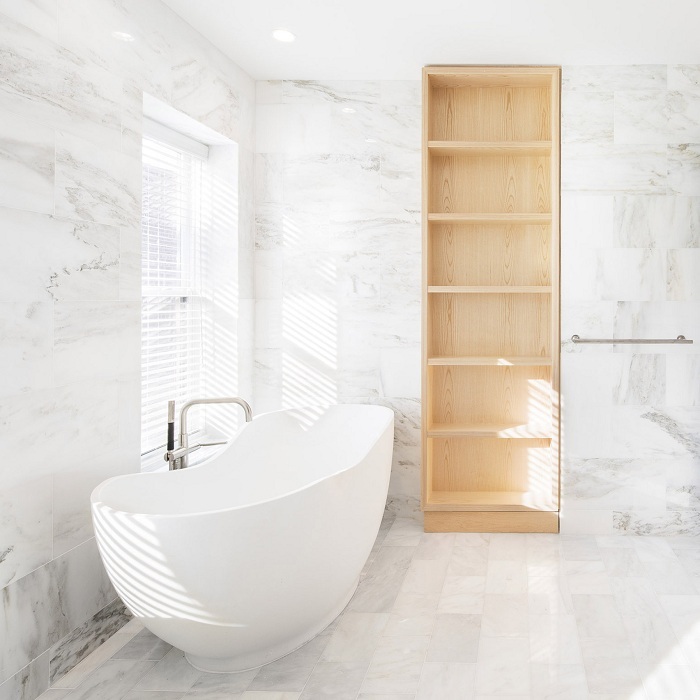 A bathtub, shower and sink, all made from monochrome marble, take the form of boxes in the bathroom of this home designed by 05 AM Arquitectura. The home also features a huge marble table in the dining room. 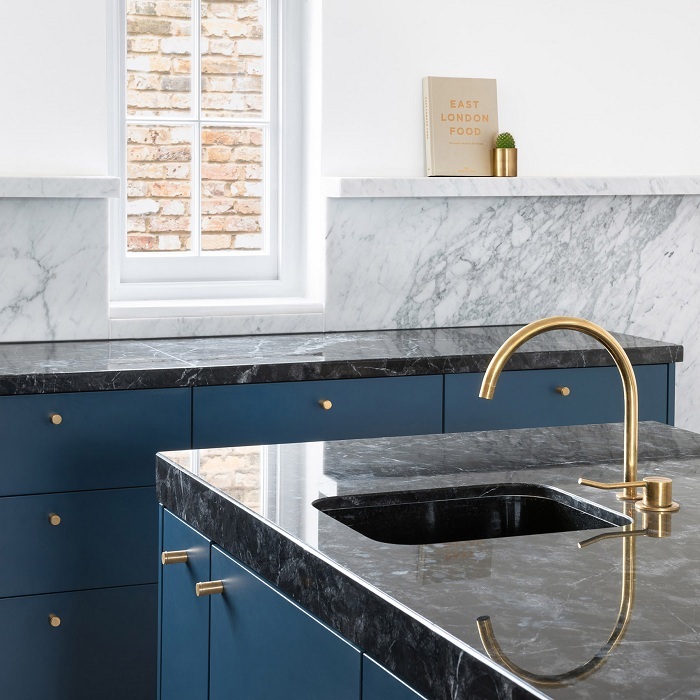 Black marble countertops contrast against teal blue cabinetry in the kitchen of this London townhouse, which was overhauled by Biasol. 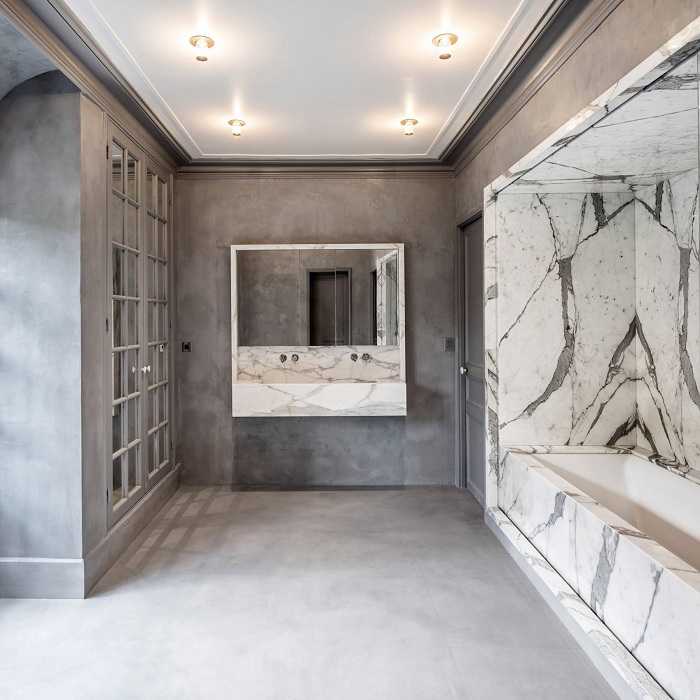 The design studio also applied grey marble tiles in a herringbone pattern on the bathroom walls to reflect the property’s “classic English character”. 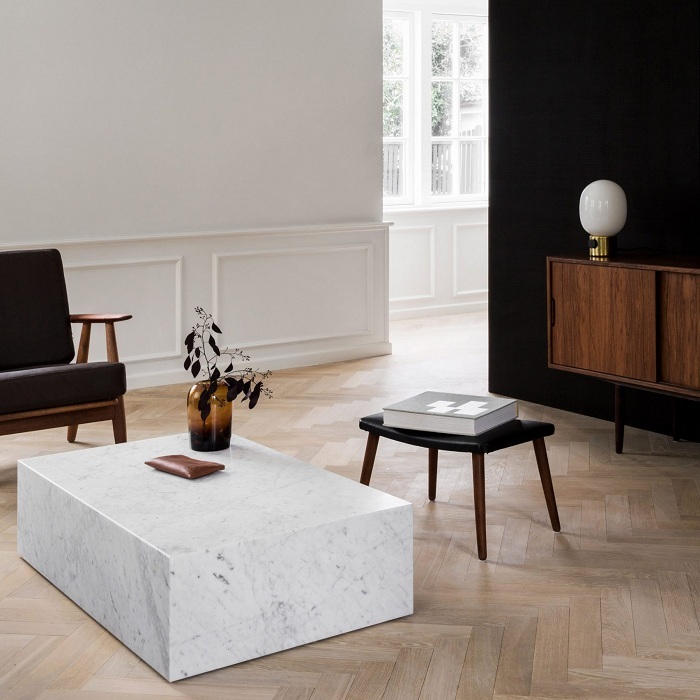 A white marble plinth serves as a coffee table inside this minimalist Copenhagen home, contrasting the dark mid-century furniture. Large chunks of grey ceramic stone also form a breakfast island and basin in the bathroom. Alexander & Co updated a dilapidated Sydney villa with a series of monochromatic living spaces. Its kitchen now features a grey marble breakfast island and splashback, paired with jet black stool seats and brass faucets. Marble also forms a large fireplace in the living area. White marble and pinewood joinery was used by Jeff Jordan Architects to brighten the most “entombed” parts of this New Jersey home. This material palette extends upstairs to the bathroom, where walls are covered in the natural stone.